Manage all your organisation’s information in one system. 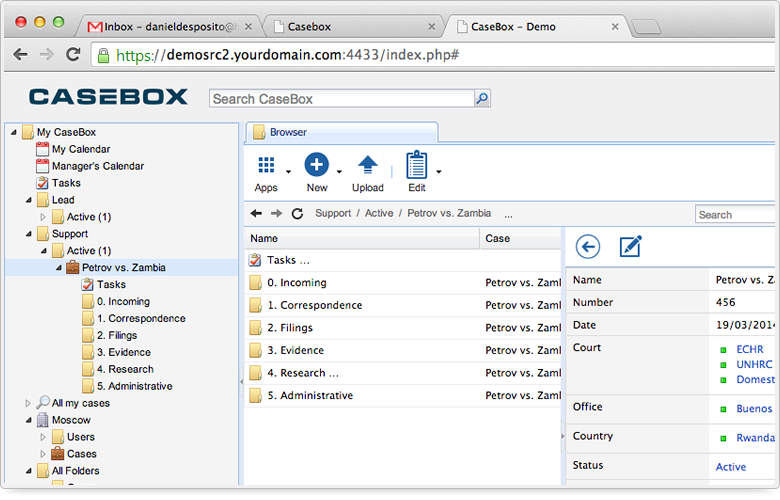 Customise Casebox and integrate your own forms, fields, terms, workgroups, and permissions. Browse thousands of records and documents. See your upcoming tasks immediately. 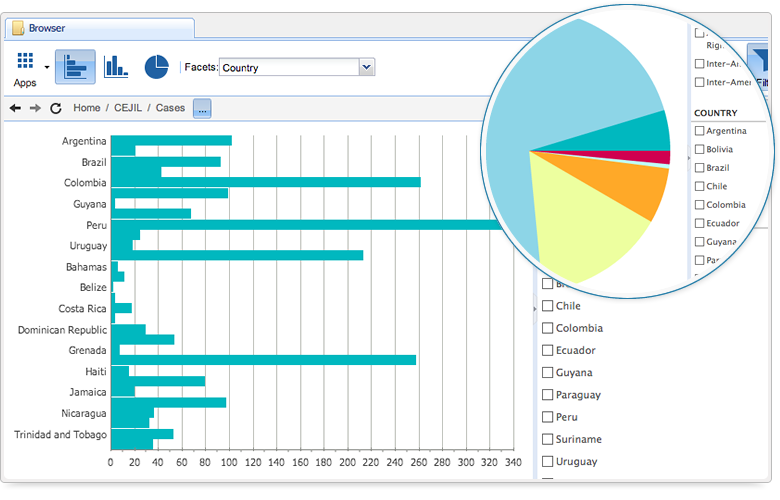 Create graphs and charts based on your cases within seconds. 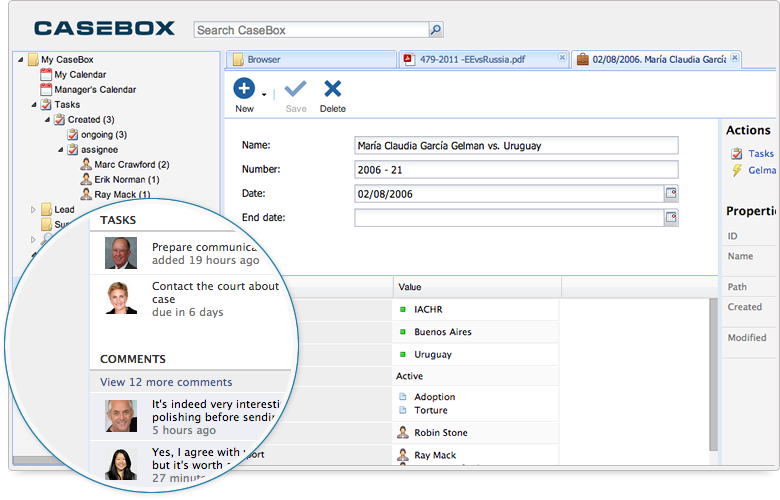 Casebox is an integrated solution for litigation management. 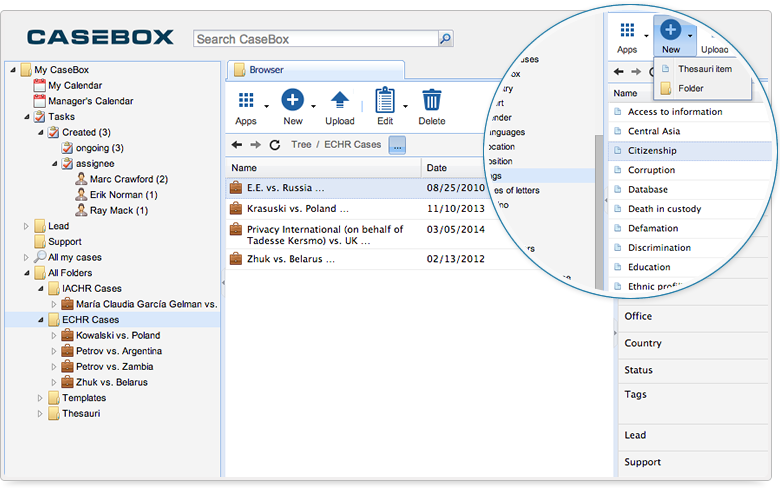 Collaboration features paired with file management make it a tool that allows lawyers and their teams to focus on what matters. Math test: 2 + 4 = ?? ?